One thing about getting a lot of tackle for review, you have to force yourself to expand your repertoire when you find a decent pattern. I had several guys telling me about the fish they were catching on the Livingston Howeller Dream Master Classic Plus so I had been waiting for that prespawn crankbait bite to fire up so I could test it some more. I threw it a little last fall, but figured this spring would be the real test. 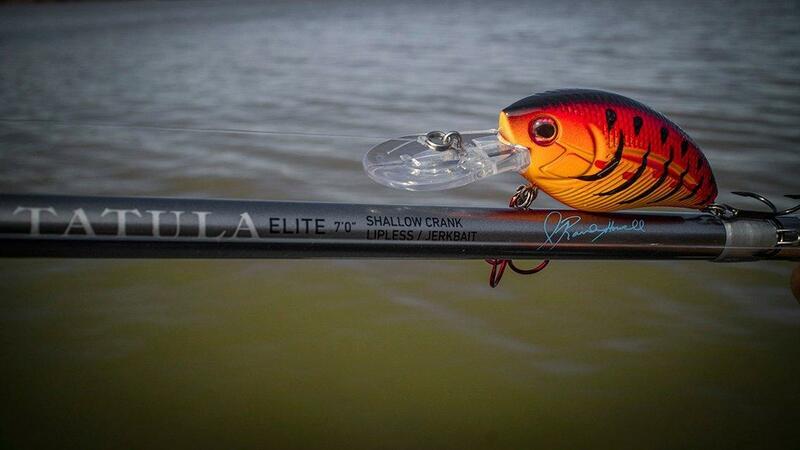 The original Howeller DMC was used by Randy Howell to upgrade part of his catch in the 2014 Bassmaster Classic to make a dramatic come-from-behind turnaround the final day to win the championship on his home lake. 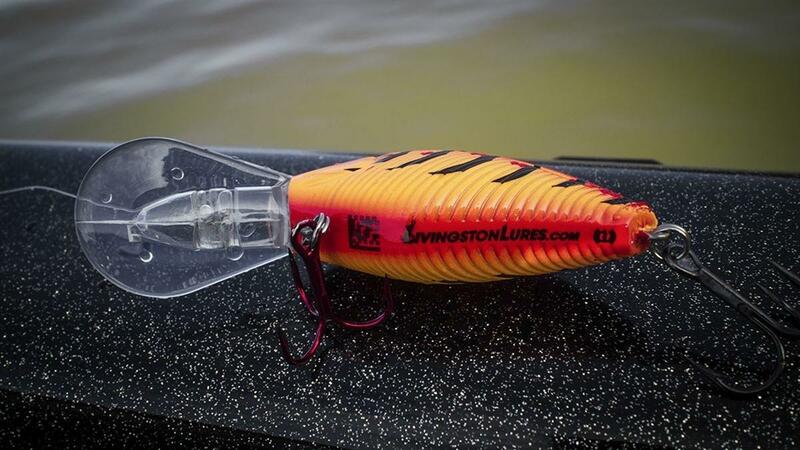 Since then Livingston Lures has added a lot of sound technology, a different action and more resistance for added kick in dirtier water in the Plus version along with it’s new tracking ability with the Smart Aquatic Marine Instruments (SAMI) application. 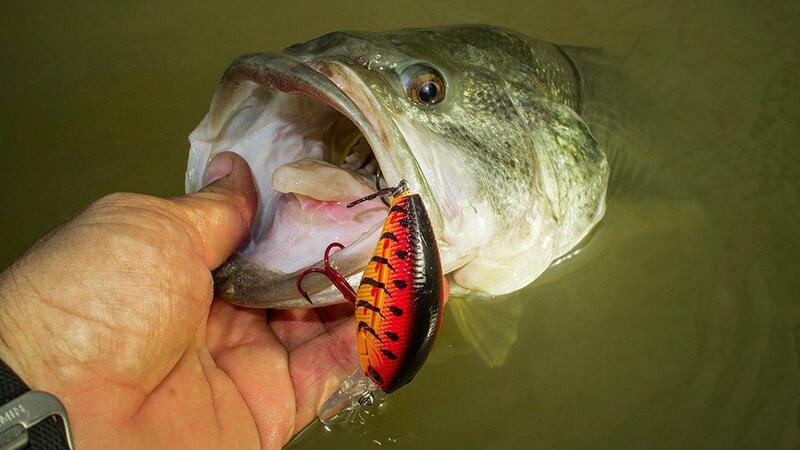 The lure is just a sliver more than 2 1/2 inches and weighs a little more than 1/2 ounce. It casts really well which is nice when you’re wanting to be very precise when your fishing rip rap banks and don’t want to bust your lure on the rocks. It roll casts and bomb casts equally well. 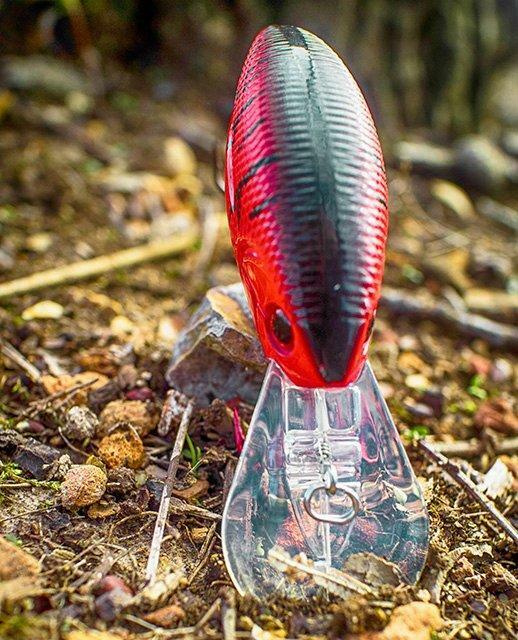 I’ve spent most of my time fishing this bait on steeper or more 45 degree banks where I can sit in about 10-15 foot of water and hit the bank on 45 degree angle casts and work fish from the shallowest out to about 10 feet. 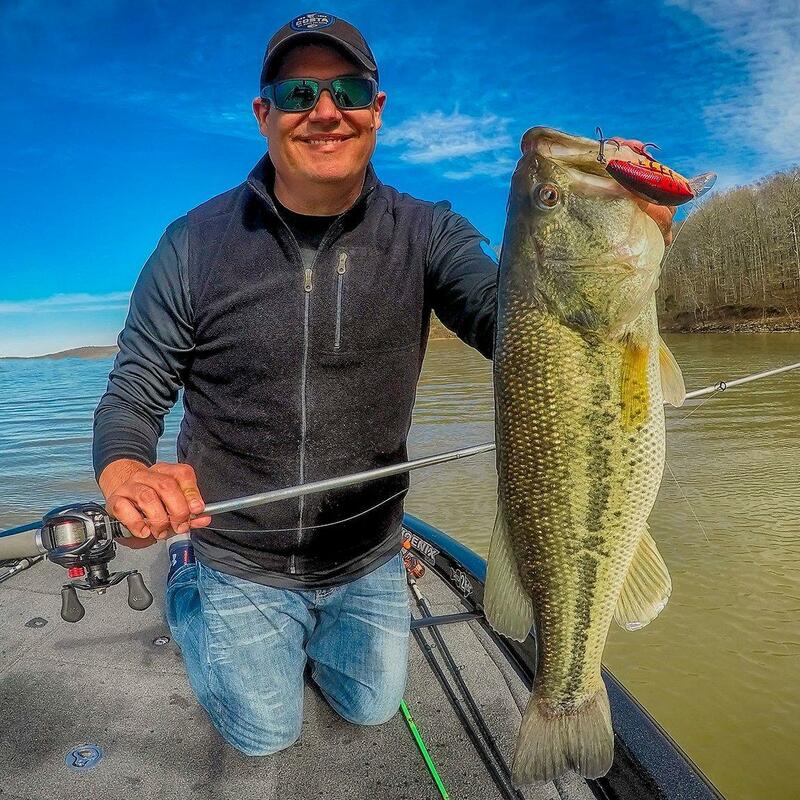 I find a lot in the prespawn with an influx of warmer water that gives the lake added color, you might catch the fish right on the bank one day and other days they might be out there in that 6-to-10-foot range. 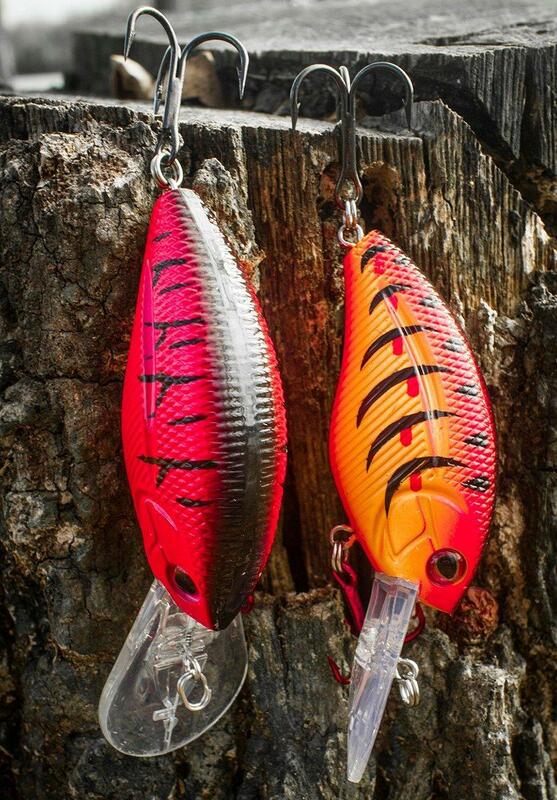 The Howeller DMC Plus covers your bases well when fishing 45-degree-angle banks and fishing channel swings where you think the fish are sliding up and down foraging and getting ready for the spawn. 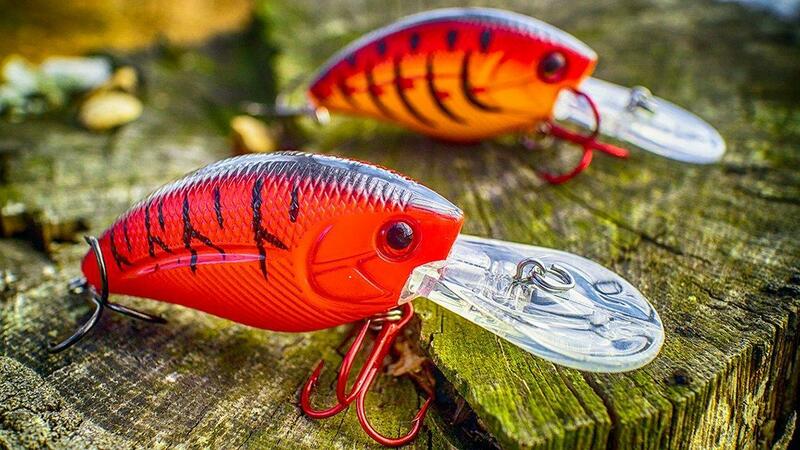 It has a pretty good pull in the water, dives quickly and stays at depth really well because of the angle of the bill, a bit wider body and where the line tie is. The first few fish I caught on it just stopped it in its tracks. Because of the resistance, however, I caught several bass that I could feel take the water off the bait before they ever loaded up. I liked that for the bit deeper applications I found. I will admit that I haven’t played with the sound patterns a whole lot yet. Most of my outings I just left it with the default setting out of the package which sounds like a mini Hydrowave to me. Although I did find it was pretty easy to cycle through the 4 sound patterns on my last outing by just leaning over and putting the bait in the water and holding the line tie and the front hook and listening to the patterns change. 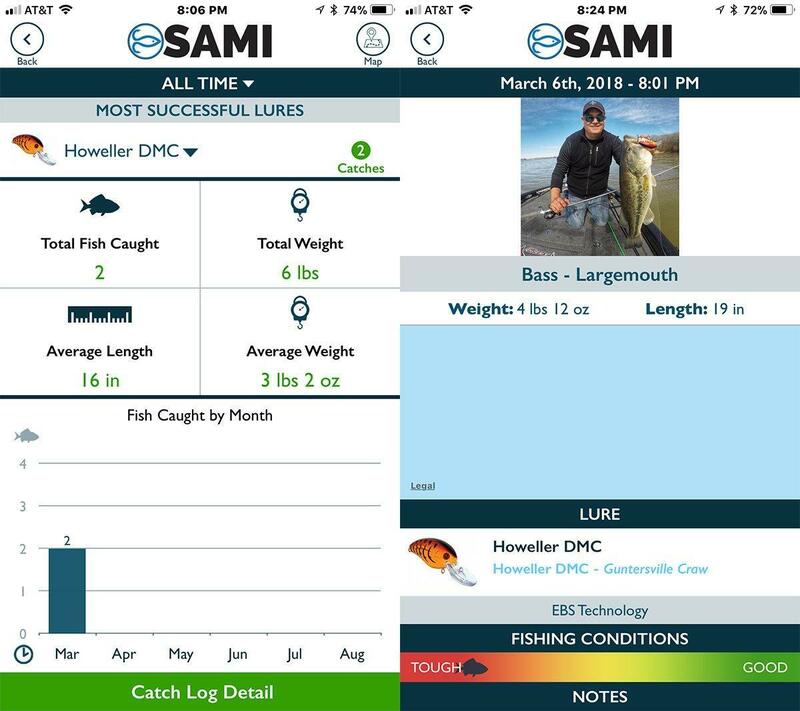 I did however play more with the SAMI app to record catches. I inadvertently had location settings turned off in the app which I will try to update on my next outing. But I was able to add my catches manually after a recent trip which is pretty cool if you are someone who keeps logs for your fishing. If you turn on location settings you can keep your catch data private but log the conditions automatically as you record the catches. I did not record my catches until several days later, which I wish the app would let me go back and change the date and time as I obviously did not catch my fish at 8pm on a Tuesday. But I put the water temps, conditions and anything else I could remember in the notes. 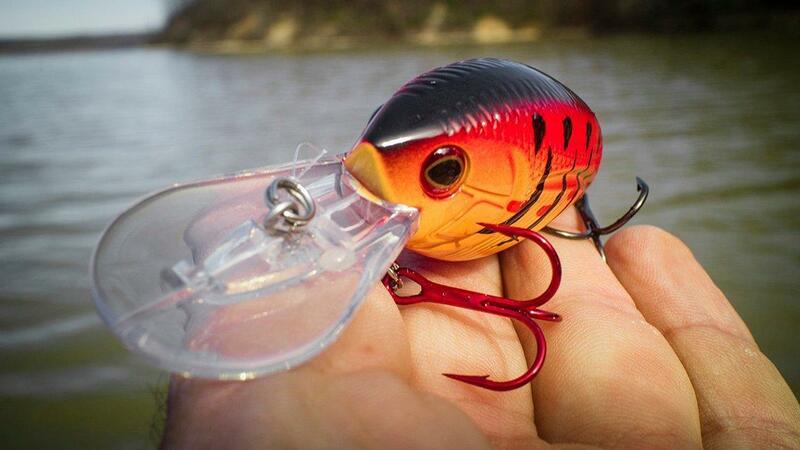 I think that could be really cool for anglers to keep accurate data from season to season. I will admit the app is a bit temperamental on getting it to read the little QR code on the bottom of the lure. I tried it on a few different baits and you really have to play around with moving in and out and clicking the screen and mine finally registered. But you can add them manually too. So that is nice. The Livingston Howeller Dream Master Classic Plus is priced around $13.99. You can find them on TackleWarehouse.com and many other retailers that carry Livingston Lures as well as learn all about how their sound applications and SAMI tracking app works on their LivingstonLures.com website. 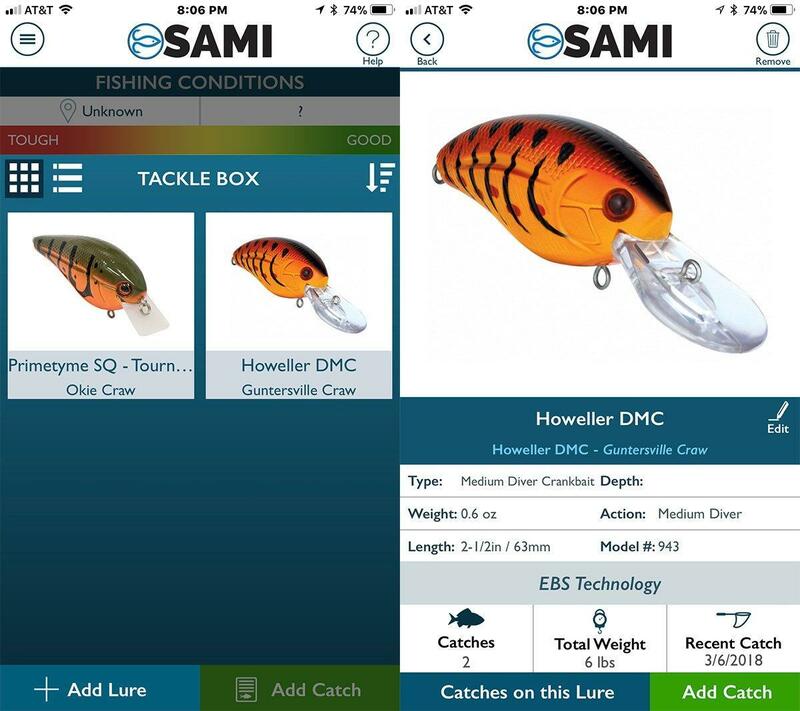 Check out more pictures of the Howeller DMC Plus, some good fish catches, and more about the SAMI App in the photo gallery.